The Water Tower Inn is a full-service hotel, with a professional and personal hospitality style. Just steps from your comfortable room or suite are two distinct dining and entertainment facilities; Casey’s Grill•Bar serves up delicious dishes made with fresh ingredients, while The Water Tower Pub features a full late-night menu and live music Wednesday to Saturday. With your stay, you’ll enjoy complimentary access to Club Cabana Aqua Spa with four pools and whirlpools and always-hot sauna, Tempospa Health and Fitness and the McGuffin Gallery of Outdoor Photo-art. Relax in front of the Lobby’s cozy fireplace or soak in the sunshine in our beautifully landscaped outdoor courtyards. Our Trailhead Adventure Hosts will help you plan your stay and can offer tips and itineraries for exploring area attractions. Enjoy complimentary Wifi throughout the Inn. The Pavilion Conference and Event Centre provides inn-spired service and cuisine as well as personalized planning. 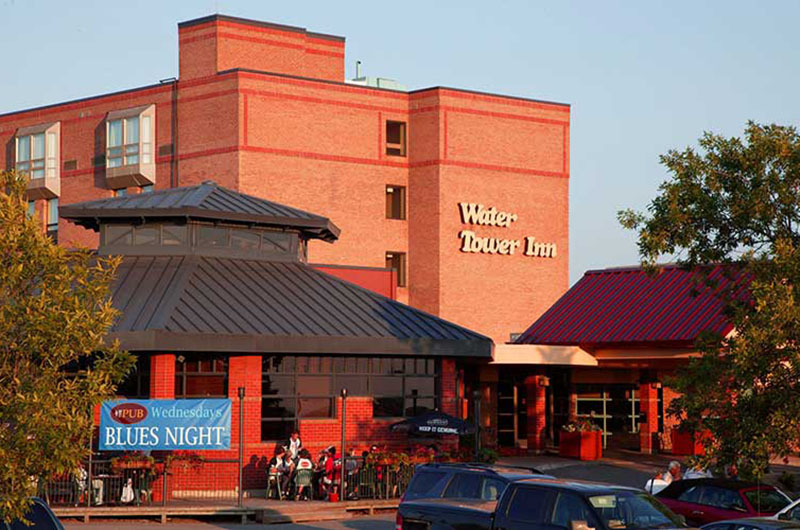 Whether you’re on business, exploring the Algoma Region or just getting away for the weekend, The Water Tower Inn is your home away from home.